Is £699 too much to be free from the chore of ironing? The Effie is a state-of-the-art machine that will dry and iron your clothes straight from the washing machine, so you don’t have to. Are you tempted? In the future, technology could end up eliminating a large number of household chores. Robot vacuum cleaners are already among us, however they currently only make up 10% of the vacuuming market. But according to a YouGov poll conducted in October 2016, it’s not vacuuming that’s the most hated chore of them all – it’s the ironing. So it seems a machine like Effie, a domestic automaton that does the ironing for you, could be incredibly well received. But the £699 price tag could put it out of the reach of many people. A terrible iron will struggle to take the creases out of your clothes. But you can take the pain out of this dreaded chore by picking up a Best Buy iron. The Effie looks like a futuristic, slim cupboard on wheels. It requires no plumbing and has the capability to iron up to 12 items in one go. You can add wet clothes straight from the washing machine, and the Effie should dry and iron each garment in six minutes. If the clothes are already dry, ironing should only take three minutes. And it doesn’t just do shirts. This machine will press the creases out of bedding, skirts, t-shirts, trousers, dresses and more. It will also be able to dry (but not iron) small garments, such as your socks and underwear. The power used, according to the inventors, is equivalent to a hairdryer. You can also add a scent to your clothing, if you wish. The Effie can be pre-ordered from March 2018 for a special early price of £699 – those taken by the idea should head over to helloeffie.com and register their interest. Deliveries are currently estimated for the end of 2018, and it’s not currently known how expensive it will be in the future. But is £699 too much to pay to get out of the ironing? Tell us what you think in our poll below. 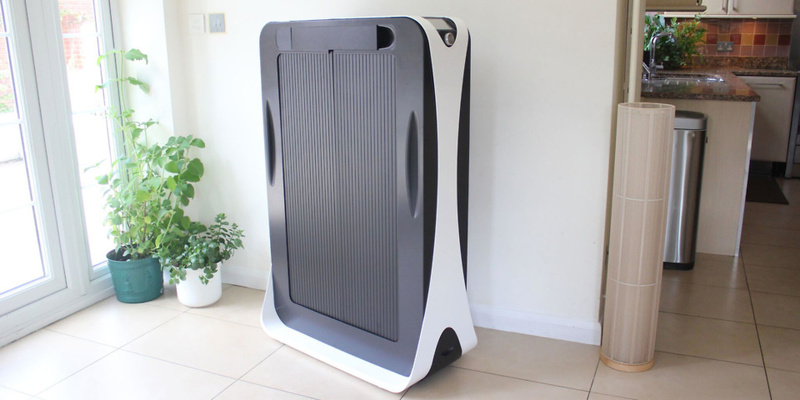 The Effie – would you say goodbye to ironing for £699? Whether or not you’re willing to splash £699 on the Effie, there’s still at least a year to go before this robot will be appearing in homes around the UK. So in the meantime, if you want to glide through your pile of laundry as quickly as possible, you’re going to need an iron that will steam the creases out of your clothes with the absolute minimum of effort. Which? irons expert, Christina Woodger, says: ‘If you’re using an iron that’s cumbersome, overly complicated or has run out of steam, then ironing isn’t going to be easy or pleasant. Finding a brilliant iron that’s light yet effective, has easy-to-use controls and is simple to fill, can be a nightmare – but we’ve already done the hard work for you. Here’s our round-up of easy-to-use irons. Which? Conversation: What chores do you wish there was a machine for?